Current Honors College students who are enrolled in the School of Health & Human Sciences are directly added to the SHHS honors program. Do you enjoy engaging in more in-depth learning in the classroom, the lab, and the community? Find your place in the School of Health & Human Sciences' honors program—SHHS's undergraduate learning experience for high ability students. 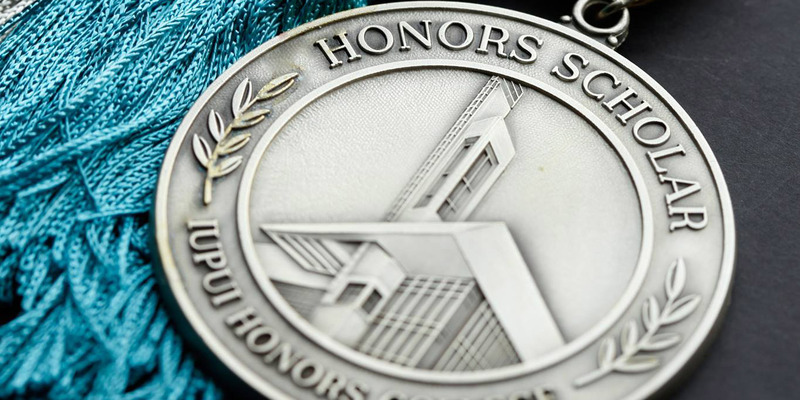 In the honors program, you’ll join other highly engaged students, where you'll all work toward graduating with honor notations. Honor students embrace a passion for learning by connecting with the school's expert faculty to make discoveries that go beyond classroom instruction. By joining the honors program, you'll gain membership to the IUPUI Honors College and access to its computer lab, study space, advisors, study abroad programs, and student council. If you have a passion for learning, give your education a boost by considering the SHHS honors program. Have an IU cumulative grade point average of at least 3.5. Be enrolled in an SHHS major, or have satisfied the requirements to be accepted into an SHHS major. Complete the SHHS honors program application, including a 500-word answer to the question: How will participation in the SHHS honors program help you achieve your academic or professional goals? Submit faculty reference information. Your references should be able to speak to your academic performance and your academic or professional potential. Enroll in and earn at least one honors credit hour each semester after admission to the honors program. This can but does not have to include summer terms. No more than six honors credit hours can be completed each fall and spring semester. Maintain a cumulative grade point average of at least 3.3 in honors courses. Maintain an IU cumulative grade point average of 3.3 or higher. If you're interested in joining the next class of undergraduate honors students, speak with your SHHS advisor, or email Laura Masterson or Jake Streepey.